Monster Hunter X gets a nice and neat English localization. It's barely been a year since Monster Hunter 4 Ultimate made its way stateside, and to be honest, I'm still playing it. The series became something of a surprise hit outside of Japan thanks to the intensive effort put in by the localization team. Naturally, when Monster Hunter X was released in Japan last year, North American gamers had three words on their mind: us next plz? Capcom recently announced Monster Hunter X will indeed see a North American localization. 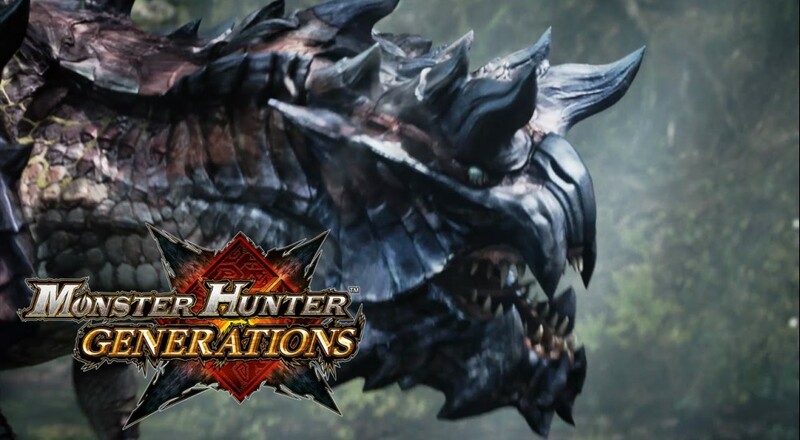 Dubbed Monster Hunter Generations, the game features lots of throwbacks to previous titles in the series, reviving old weapons styles, monsters, locations, and more. New to the Monster Hunter series are playable palicos (yes, you get to be a cat), four flagship monsters, and gameplay tweaks that smooth over rough spots leftover from the fourth game in the series. Crafting, gathering, upgrading and mounting are all still here, only now you can do them with style. The biggest addition in Monster Hunter Generations are hunter arts, unique abilities you can unlock and equip to tweak your overall skillset. Arts are equipped by first selecting a hunting style, another new feature that determines which abilities and weapon combos are at your disposal. For example, aerial style simplifies combat chains and gives you an extended evade roll. Touch a monster while rolling and you'll leap into the air, allowing you to attack and engage mounts using any weapon. Want something more classic? Go with guild style for Monster Hunter 4 style combos, but note that you'll only be able to equip a few hunter arts. More information about the Monster Hunter Generations localization will trickle out soon. The game is scheduled for release this summer and will support four player local or online play. Page created in 1.2620 seconds.